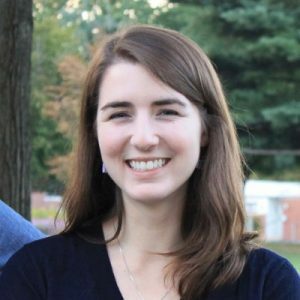 I’m a Ph.D. candidate at the University of Virginia where I study Latin American viceregal (i.e. colonial) history. My research interests include the history of religion, labor and commerce, and economic justice. My primary adviser is Dr. Brian Owensby. My dissertation, “To Hell or Restitution”: Catholic Commercial Justice in New Spain, 1670-1757, analyzes the ways in which Catholic identities, values, and institutions shaped how economic actors negotiated commercial justice. I combine an analysis of published primary sources with an examination of legal cases and petitions from ecclesiastical courts like the Inquisition, as well as from civil courts like the Juzgado de Indios, the Tribunal de Cuentas, and the Mesa de Propios, which historians have underutilized as sources for understanding everyday religious practices. My research in archives in Mexico City and Spain has proven that, even in ostensibly temporal matters, economic actors showed concerns over usury, just price, charity, eternity, and the souls within the body politic. For many years, economic and social historians situated the origins of Latin America’s underdevelopment in the colonial system. According to these scholars, the inhabitants of the Spanish empire cared too much for social prestige and charity, and too little for labor, efficiency, and profit. These scholars declared the Spanish and Spanish American economy to be backward and anti-capitalist, especially in comparison to Protestant New England, the so-called cradle of modern capitalism. In response, historians attempted to rehabilitate the character of New Spain’s economic elite by demonstrating the ways in which criollos and Spaniards were, in fact, rational capitalists who valued hard work and profit as much as modern capitalists. Yet, this rehabilitation left little room for scholars to recognize how early modern European and indigenous religiosity fundamentally shaped economic decision-making. I reassert that while early modern commercial actors did, indeed, consider profit, they could not consider profit without considering charity. Entrepreneurs could not consider their personal interest without considering its impact on the spiritual community. Charging high interests rates might be considered financially sound, but early modern people had to contend with the question of whether it was morally and theologically sound as well.